Without doubt one of the most beautiful train rides of all, the Rhaetian Railway’s Albula and Bernina lines link northern and southern Europe in such spectacular fashion that in summer 2008 they were jointly named a UNESCO World Heritage site. 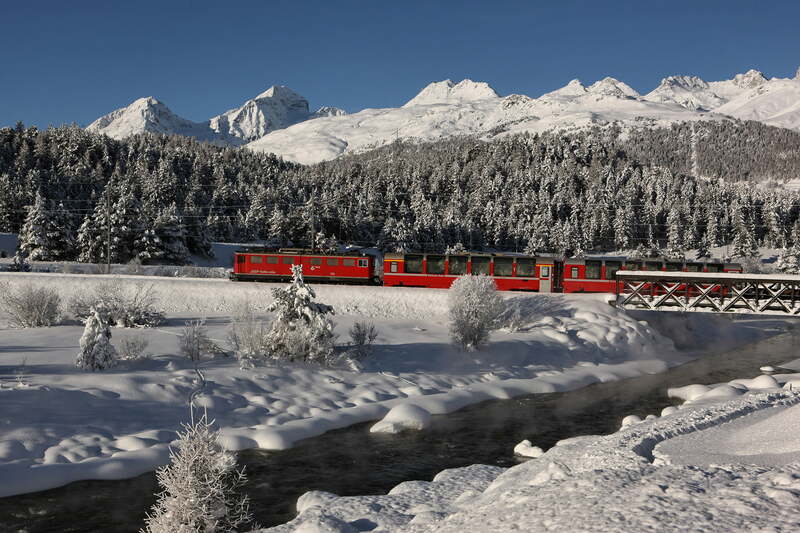 The Rhaetian Railway’s “little red trains”, as they are affectionately known, pass through many other attractive locations all over the canton of Graubünden. The PostBuses, meanwhile, can take you on a fascinating tour of discovery to Chiavenna, Lugano, over the Julier Pass to Chur, or over the Ofen Pass to Mals, from where the Vinschgerbahn railway transports you to the final destination in Merano. The Engadin has a dense public transport network. The highest rail crossing in the Alps leads over the Bernina Pass down to Tirano in Italy.